Some cats are born to be stars, while others are made popular by talented photographers or unusual circumstances. The secrets of popularity are different, but it is a real enjoyment to follow the life of your favorite cat star. Here, we'll check out some famous cats that we haven't talked about so far. 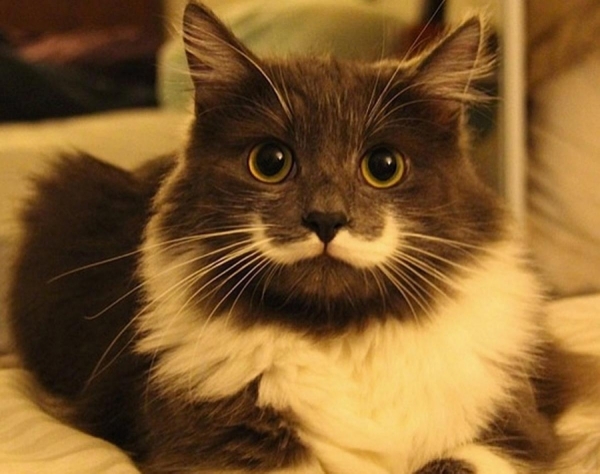 Hamilton, the Hipster Cat, became famous from very young age. His unique mustache makes him really stylish and trendy. Check it out on his Instagram page. A very touchy life-story of grandmother Misao and her odd-eyed cat Fukumaru has been filmed for more than 10 years by Miyoko Ihara, a photographer and Masao’s granddaughter. The cat Fukumaru, whose name is translated from Japanese as “a circle of good fortune”, followed the granny everywhere she went – to the field, orange garden or a bath. 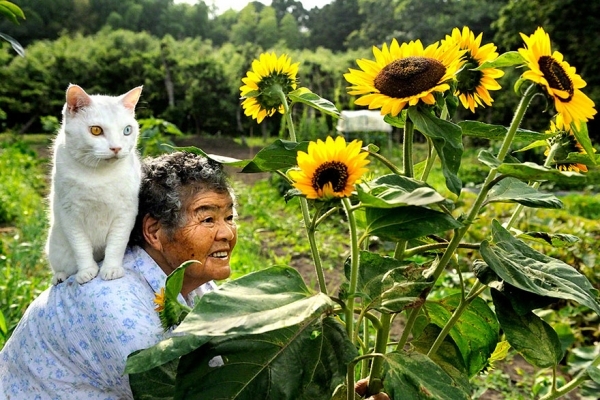 Miyoko Ihara made a special web-site to publish the photo stories of her granny and Fukumaru cat. She also created a hard cover portrait album, which was called “Misao the Big Mama and Fukumaru the Cat“. See what a happy couple they are! Another fancy cat star, LiLu Blue Royal Lada, has been accompanying a little girl Katherine from her childhood. 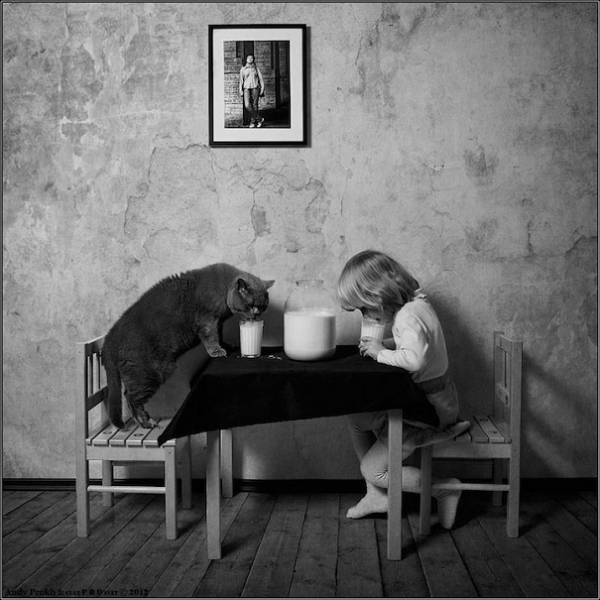 Girl’s mom, Andy Prokh, took a series of awesome black-and-white pictures dedicated to her little daughters, their cute friendship and the things they like doing together. The couple has many things in common and enjoys spending time with each other. They both love art and science, but Katherine is keen on taking the leadership in all the important activities the kid and the cat do. Who is going to win a chess game this time? The girl and the cat grow together, and the mother has been doing a wonderful artistic work of picturing the whole world of friendship and making both Katherine and fluffy LiLu the internet stars. 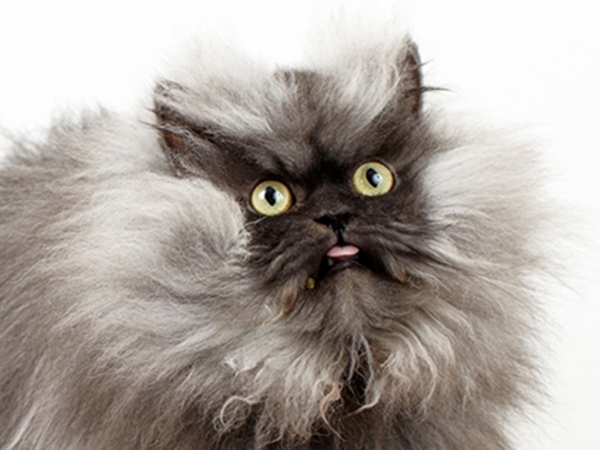 Colonel Meow is the cat, who got into the Guinness World Records because of the longest fur that he possessed. Its length reached 22.87 cm (9 inches) and it was spread all around his owner’s flat! One more Internet star is blind. 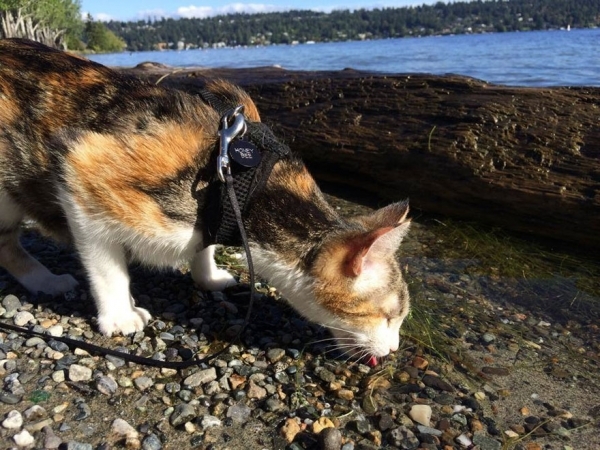 However, this blind cat called Honey Bee has a pretty exciting life, as her two humans adore hiking, so they take their kitten for a walk to the mountain side. Honey Bee loves taking rides on the shoulders, listening to the sounds of water and smelling everything. Once adopted from an animal shelter, she has found a completely different life in Seattle.